It doesn't sound like this should work, but it does. There are very few low to no VOC techniques that leave almost no smell, but this is one. It is easy and low tech, an added bonus. I've heard this called Giggle Juice. I wouldn't call it funny exactly, but it is fascinating. Pickling vinegar is poured into a sealable container, and the finest grade steel wool you can find is immersed in the vinegar. Put the lid on for two to three days, then it's ready to use. Keep in mind that this will encourage rusting of metals, so use a plastic or glass container. 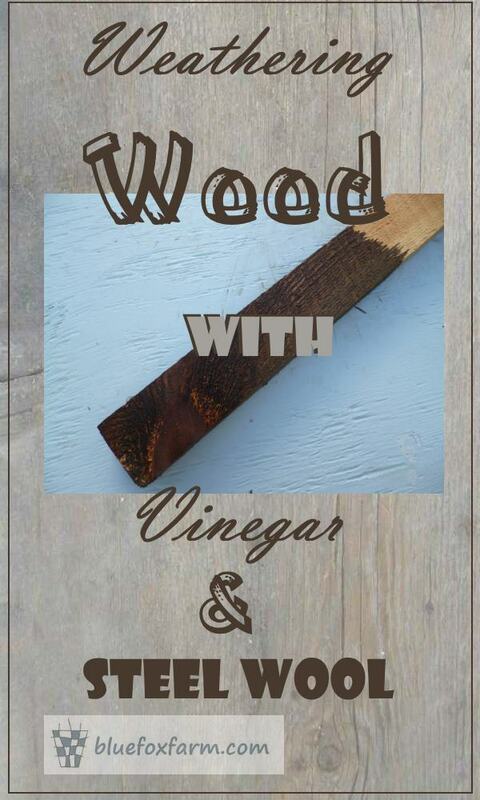 Smaller pieces of wood can be dipped into the vinegar, or you can paint the liquid on - it doesn't seem to be working for a few minutes, but then you'll see the wood starting to darken. Over the next few minutes it will continue to darken, and in time it will be an aged grey. 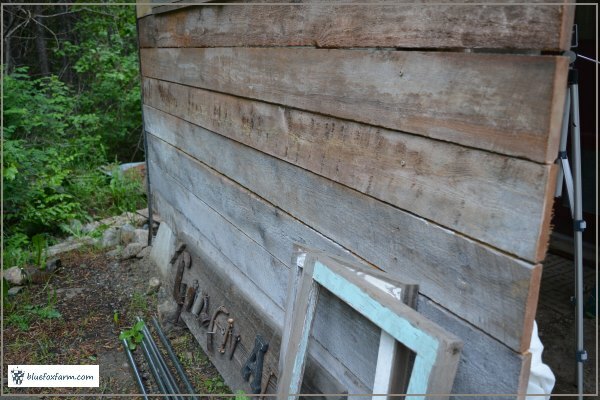 Although it's a bit darker than I would prefer, it is the same color as aged barn wood after years of weathering, after only a few minutes. 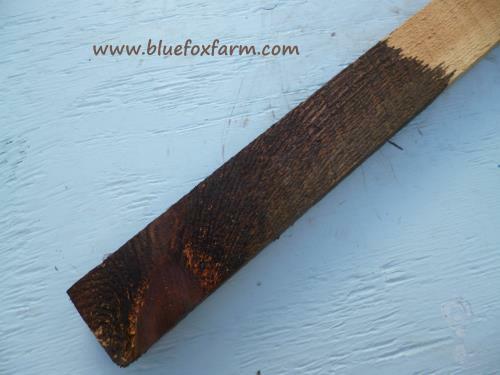 I've been looking for a way to match up cut ends of barn boards or other weathered and aged wood - this is it. 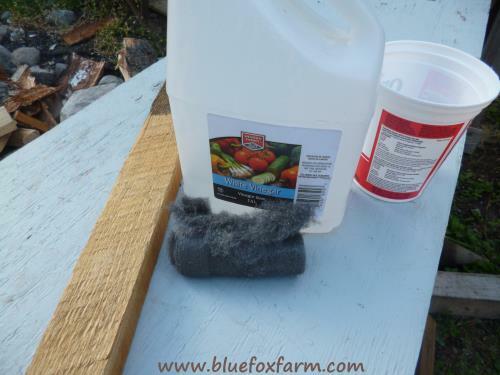 Blot it on with a rag or sponge so it blends in, and watch the weathering start. Don't want it dark brown? 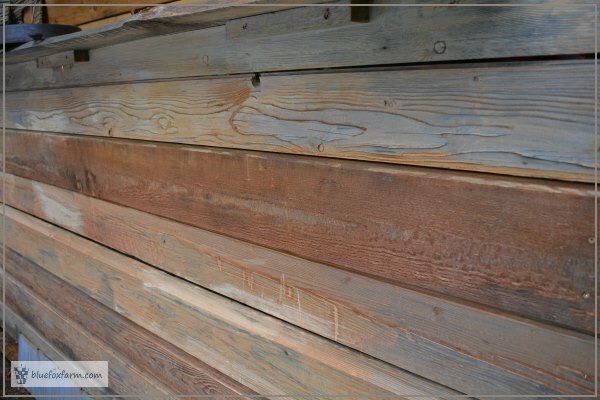 Here's a way to get it that lovely silvery color of driftwood; mix ten parts 'giggle juice' with one part white paint, adjust if necessary to get the right grey color. I painted two of my sheds with this, on the side which gets used as a backdrop for photo shoots.